Siding has improved dramatically in the past decade. Advancements in manufacturing and pigment technology give new siding many advantages over what may be on your home today. 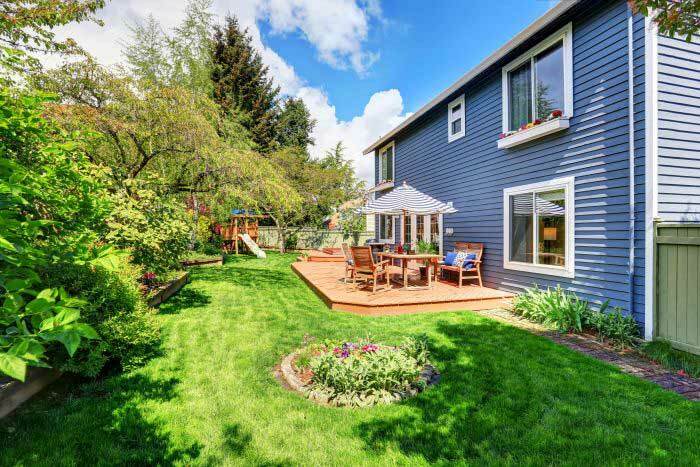 At Allegiant Roofing, the replacement siding we sell and install looks more like real wood siding than older styles, giving your home a fresh new look – without the hassles of scraping and painting or staining. It comes in a variety of fade-resistant colors. If you notice cracks, holes or warping in your existing siding, it’s time for exterior siding installation. When your siding isn’t secure against your home, it may allow water, pests and rodents into your home, all of which can cause significant damage to your home’s structure, wiring and insulation. Damaged siding is one of the primary reasons for replacement. Another common reason is maintenance. If you’re tired of scraping and painting or re-staining your wood siding, new vinyl siding has significantly less maintenance. Quality vinyl siding from Allegiant Roofing can last up to 40 years, and virtually maintenance-free! Choose Allegiant Roofing for exterior siding installation that will help beautify your home and make it more comfortable and energy-efficient. Call (937) 907-0009 or submit our online request form to schedule your free, no-obligation estimate today.